Hercules is an interesting case in terms of censorship. After it was released in cinemas in a PG-13 version, it was quite clear that its numerous fights had the potential to be much more violent than what was delivered. But still, it had to be cut for the British theatrical release because the BBFC would have given it a "15" rating. The distributor wasn't happy about that and cut it down until the "12A" was achieved. 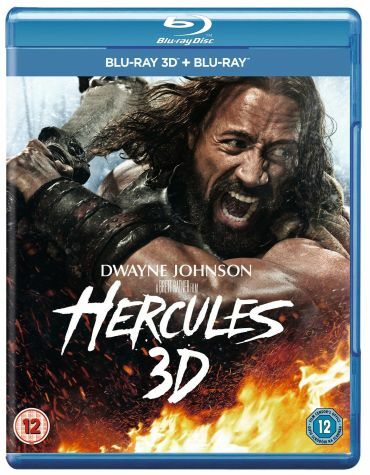 But the second chance to give British consumers what they demand and deserve, the distributor chose to put the same cut version out on DVD and Blu-ray. And to make it even worse, they also don't release the more violent Extended Cut in the UK, even though they put the film out in 3 different editions on December 1st, 2014. If you're interested in all the mayhem that Dwayne "The Rock" Johnson creates, you'll have to order it from some other country. For example, you can order it at Amazon.com.